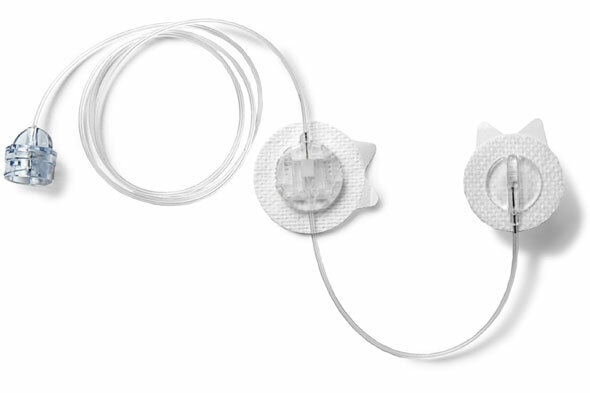 The Sure-T® is our newest infusion set and replaces the Easy-set® line. Like the Eas-set®, this steel needle set has an additional adhesive pad to provide extra security against needle dislodging, but with an enhanced needle to make it the thinnest steel needle infusion set available today. 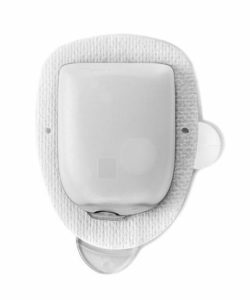 The simplicity and enhanced security of Sure-T make it a good choice for young children and adults during pregnancy. Improved comfort – the 29G needle is the thinnest available. Disconnect 4″ from Site with additional adhesive pad for extra security. Convenience with tubing connector 10cm away allows disconnection without touching the infusion site. Intended for insulin pump users who prefer using a very fine 29G needle to infuse their insulin rather than a cannula. Tubing connector 10cm away for disconnection without touching infusion site.